NOTABLE TRACKS: “Boys of Summer”, “All She Wants To Do Is Dance”, “Sunset Girl”, “Not Enough Love In This World”. 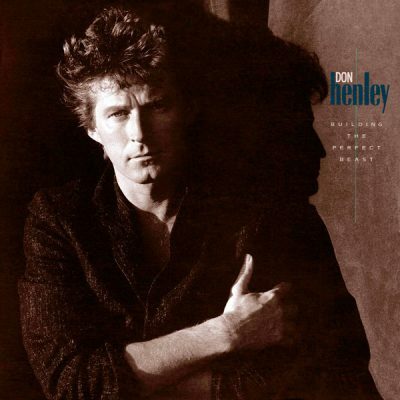 WHY I LOVED IT: Don Henley’s one of my favorite vocalists of all-time. I should probably float that out there before proceeding. If there were a Mt. Rushmore for best male pop/rock singers of all time and I was left judge and jury, Henley’s face would be on it. This was his second solo album after leaving the Eagles and while (spoiler alert) I liked his third album better, “Building The Perfect Beast” was a very good in its own right. “The Boys of Summer” may well be Henley’s solo career masterpiece. Seriously, it’s one of the 80’s most melancholy, tenderly scenic tunes and I have a borderline obsessive emotional connection to it. “All She Wants To Do Is Dance” is a fun song that’s aged well and let’s not kid ourselves—also a pretty popular song at the gentlemen clubs. “Sunset Girl” and “Not Enough Love In This World” are y hits never talked about when people discuss Henley’s career. They should. COMMERCIAL SUCCESS: “Building The Perfect Beast” saw Henley enjoy moderate commercial success. The album went triple platinum and peaked at No. 13 on the Billboard Top 200 the United States while reaching as high as four in Australia. From the album came four charting singles, led by “Boys of Summer” climbing as high as number-one on the Billboard Rock singles and five overall on the Billboard Hot 100. “All She Wants To Do Is Dance” also reached the top spot on the Billboard Rock Singles while maxing out at nine on the Billboard Hot 100. “Sunset Girl” reached No. 22 on the Billboard Hot 100 and “There’s Not Enough Love In This World” got up to No. 34. The video for “Boys of Summer” absolutely dominated the 1985 MTV Video Music Awards, winning for Video of the Year, Best Cinematography, Best Director and Best Art Direction. It was the first video to win four MTV awards.